Do you walk miles to your deer stand, carry your ice auger across the lake in freezing temps, or lug your chainsaw to the back part of the forest? Not anymore! The Universal All Season Carrier can carry all of that and more! 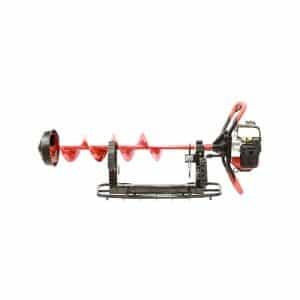 Not only does it have the capability to haul the items shown it also handles shovels, rakes, fishing poles, lumber, and more. 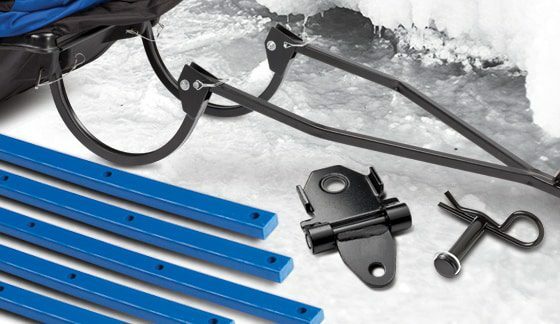 This Universal All Season Carrier sports a “Snap-n-Go” shaft clamp, tough rubber bindings and brackets. 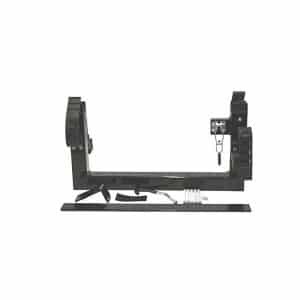 The carriers overall dimension is 24” wide and 13” tall and constructed of 2” high strength aluminum tubing. Fit will depend on the size and brand of tool you are carrying. 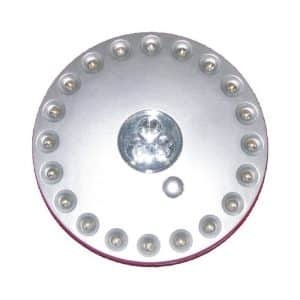 Fits many ATV’s, UTV’s, and snowmobiles. Bottom ATV rack shown in the photo are not included. Reg. $899.99 Please call 989-879-1110 for price information. It all starts with the sled. Our all-new Grizzly flip shelter packs into the toughest tub on the market. This ultra-sturdy, 70” roto-molded sled can take any abuse you throw at it and features slots that accept 2x4s for easy gear organization. Deeper runners help the Grizzly track straighter and slide across the ice with less effort. A brand new, fully-adjustable Versa seating system sits on top of the sled. 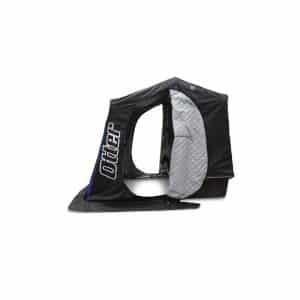 Both seats swivel, slide front-to-back, side-to-side, and also lift up for quick access underneath. All-new square aluminum tubing creates the sturdy framework, and is wrapped by our new 900D four-layer StormShield™ insulated fabric. StormShield traps in the heat, keeps out the elements and minimizes condensation. This item is in-store pickup only. You may purchase the item on the website and we will hold it for 48 hours for you to arrange pickup. 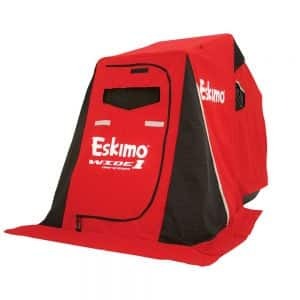 The fully-insulated Eskimo® Wide 1™ Inferno is an expandable wide-bottom one-man flip-style shelter. 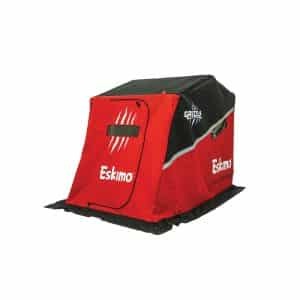 Its patented design gives anglers more fishable space, while maintaining the lightweight portability of a one-man shelter thanks to a telescoping front end. 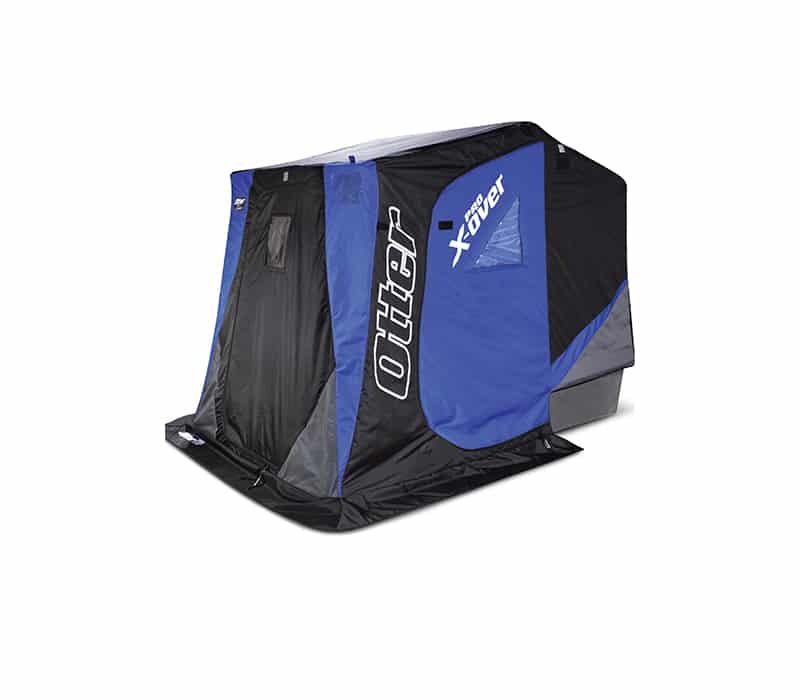 Its expandable front spreader bar allows for 32% more fishable area than any other shelter in its class. 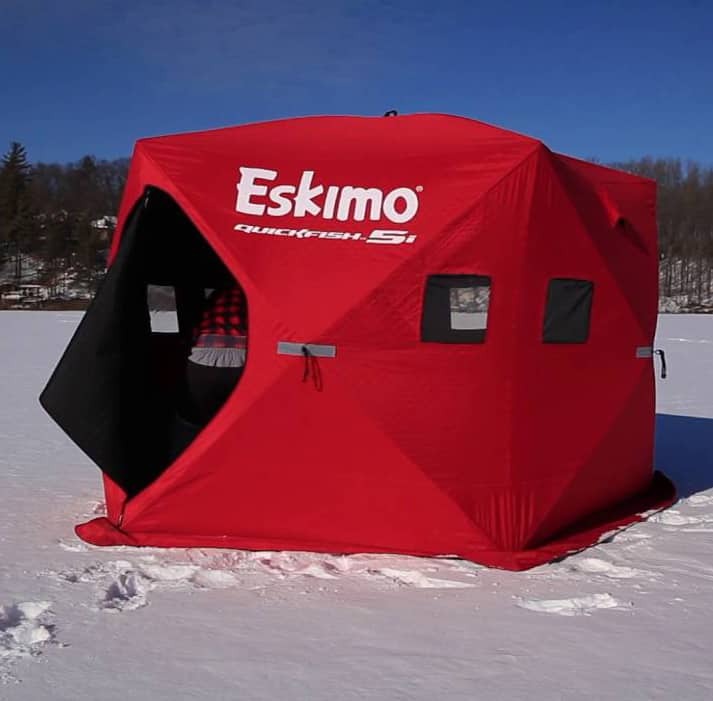 Once the front end is expanded, ice anglers can fish multiple lines and still have room for electronics and a heater. 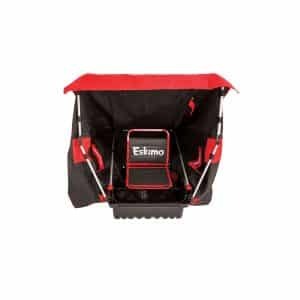 A double-walled hinge provides a sturdier structure in windy conditions and mesh storage pockets help keep your essential ice fishing gear handy. A larger sled on the Wide 1 Inferno creates more fishable area with 14.8 square feet and 60 inches of height for setting hooks. The new mounted swivel Versa Seat is comfortable for hours on end and allows for easy movement while seated. Please call 989-879-1110 or email info@northwoodsoutlet.com for pricing information. This item is available for in-store pickup only. You may purchase the item through the website and we will hold it for 48 hours. Designed to fit on standard 5 gallon bucket (not included). 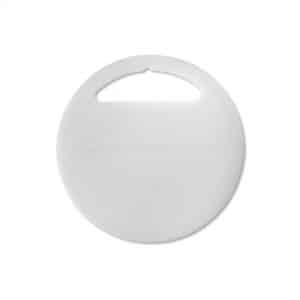 Hinged lid for access to bucket. 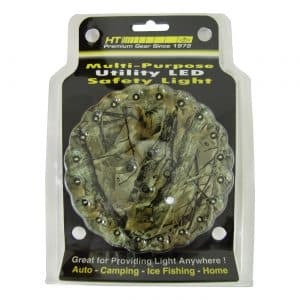 Great for shore & ice fishing. 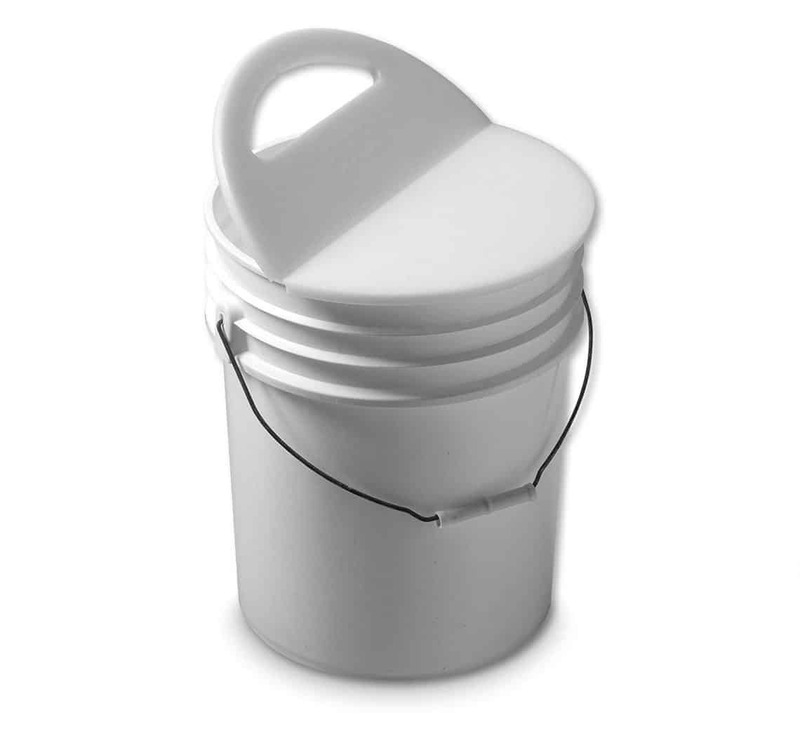 Lid folds in half to store in bucket, out of the way.